In this fast-paced world, customers expect quick solutions to their queries. Businesses need to adopt new technology in order to enhance the customer service experience and for the growth of the company. Customer service is the only key to success in this competitive world. Companies need to meet customer expectations and offer the best services to the customers. Video chat is becoming increasingly important for business because of its benefits. If you want to take your business to the next level, then implementing video chat can certainly help. This will accelerate various processes like customer service, customer onboarding, and support which will ultimately take your business to the next level. According to the research by Pew Research Centre, 23% of consumers said that they have used video calling on their mobile devices and the numbers are surely going to increase in future. Live video chat is becoming important in today’s world, gradually replacing email, and phone calls. 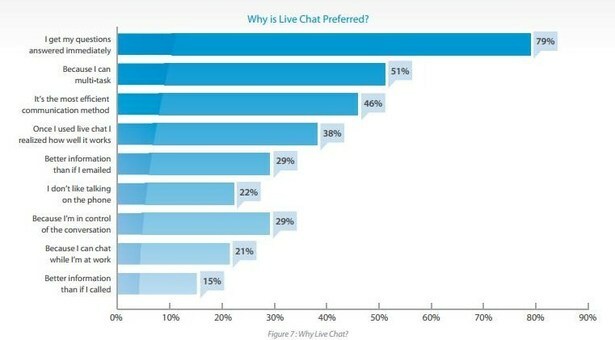 See the above stats and you will see the percentages of people who are happy with live video chat support. Almost 795 people said that they got their queries solved in no time and that is exactly they are looking for. According to a survey by Accenture, 72% of consumers have switched brands due to lack of personalized value added experience and the numbers are surely big. 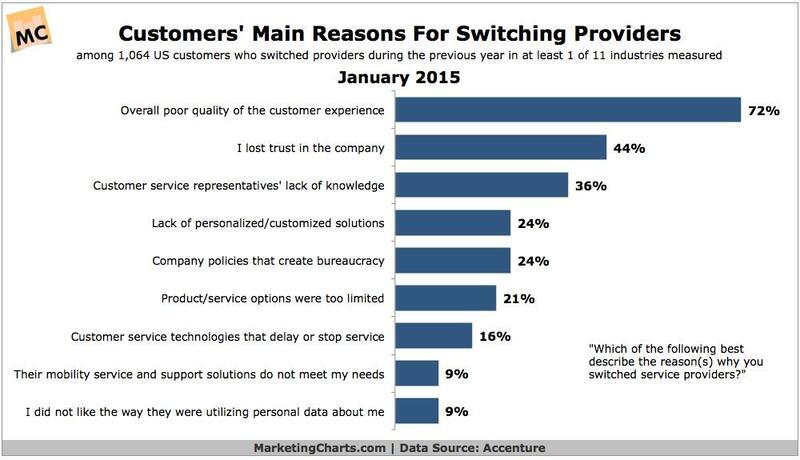 See the below image and you will understand the importance of personalized customer experience. More and more businesses are implementing video chat to offer a personalized experience to their customers. When you introduce the video chat support feature in your website or app, you are offering a helping hand to the customers who are a bit confused during his shopping time. In e-commerce, it is obvious that people will get confused due to a wide variety of shopping options available in front of them. They need them to get their answers quickly and affirmatively. Unlike emails, users can ask for multiple queries to a service representative and it will surely save his time too. It will be a personalized experience for them and most importantly, they will appreciate the attention that is given to him. It is something that they will find valuable and satisfactory. It is very important as a service provider to make your customer feel that you care for them and once you have done it, you are surely going to get their loyalty for the longer period of time. In an era of cut-throat competition, if your customer is not satisfied with your services, you need to worry. There are many competitors who sell the exact products and service you deal with and there are high chances that your loyal customers will switch sides if they are not satisfied with your products and services and you need to understand this thing very clearly. An introduction of live video chat support in your business will give a paradigm shift in a way you solve customers’ queries and it will give them a sense of satisfaction that you are looking for. Thus, video chat is the best communication tool for the long-term growth of the business and to streamline customer support process. An instant solution of queries will surely make them feel good. What you are looking for, the same thing, don’t you? Major companies are implementing video chat into their websites to deliver top-notch customer service and to boost sales. Research shows that video chat is the best tool to drive sales, conversions and customer satisfaction. Video chat is the best communication platform to provide real-time assistance to the customers. Chatting face to face with customer service representative builds trust between the customer and brand. Video chat combined with co-browsing tools can help customers to fill put form or answer any questions instantly. 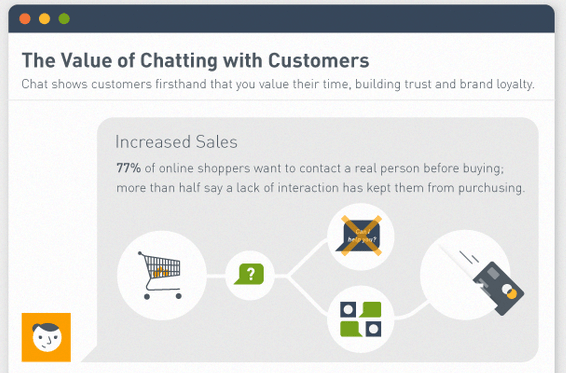 Customers are more likely to purchase the product with the help of video chat. This will also reduce cart abandonments. In order to stay ahead of the competition, you need to offer top quality of products and services to your customers. If you don’t have anything unique to offer to your customers, people will find no motivation in buying services from you. More than 70% of customers expect companies to understand their needs and expectations. Implementing video chat in your customer support funnel will make customers happy and help in business growth. 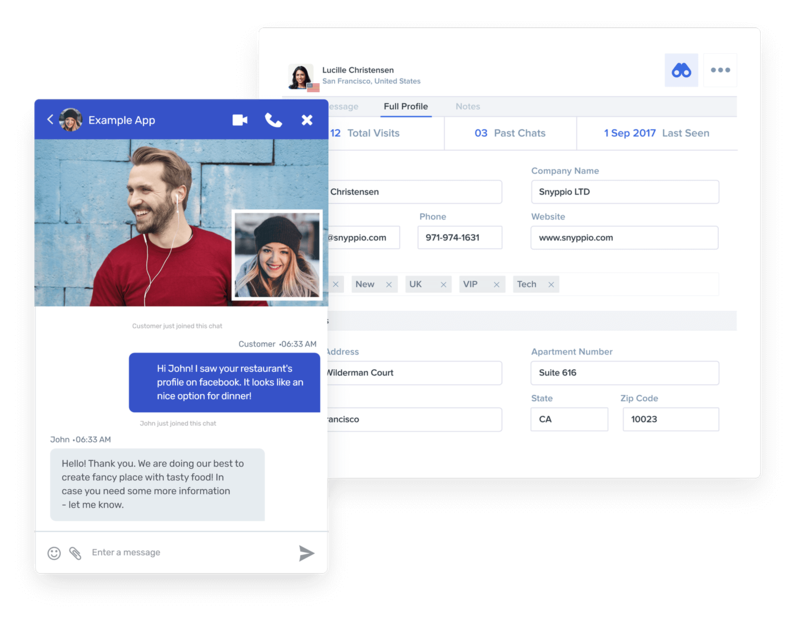 You will see enhanced sales figures, remarkable customer loyalty and high conversion ratio once you introduce the live video chat support in your system. You are offering something exceptional to your customers and they will surely appreciate it and reward you surprisingly. All you need to do is to offer your customers what they are looking for. When they are confused, they want you to solve their queries and help in understanding the nature of products and services. By introducing live video chat support feature, you will be able to solve their queries in no time and it will help them to decide faster and in a meaningful manner. When your customers are happy with your customer service, he will surely become your mouth publisher and in a manner, you will get more references too. On a short note, a video chat support will help you to assist your customers and will boost conversions and sales. What does Gold Standard Customer Support Look Like?